Devon Works has just unveiled the luxe version of the its belt display wristwatch, the Tread 1G. With a case in black DLC coated steel and yellow gold, the Tread 1G is made to order. 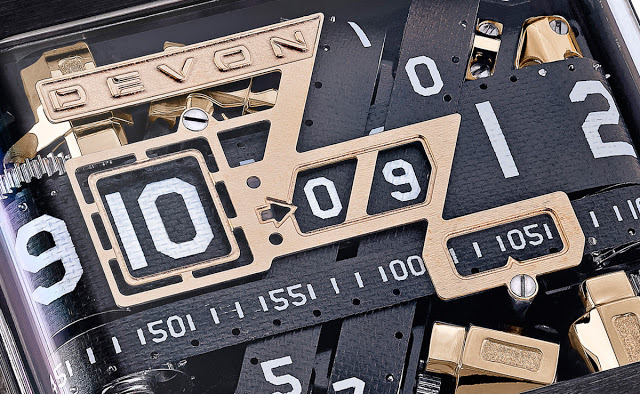 Devon Works made a splash with its original Tread 1, an electronic wristwatch with a mechanical belt time display. 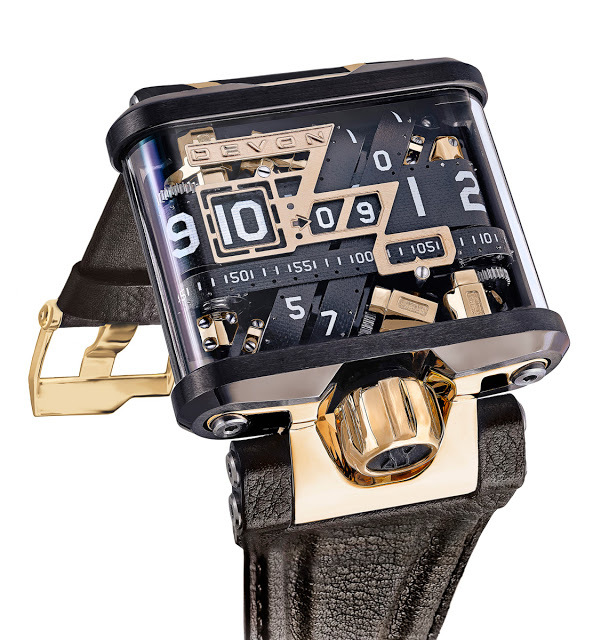 Since it has unveiled more elaborate versions of the Tread 1, including the rivet-covered Steampunk and the Exoskeleton in clear polycarbonate. But the new yellow gold Tread 1G is the most extravagant version to date. The Tread 1G has several external components, namely the lugs, crown and buckle, in 18k yellow gold, while the rest of the case is in black DLC coated steel. And the motor covers and shaft mounts for the movement are also solid yellow gold, while the bridge for the time display is gold plated.